What does 'Void' do, and can I view a post marked 'Void'? Void removes posts from your Feed and reports, but you can still view them on the web. Voiding a post in Fieldlens removes that post from the Feed and your reports. This action will void the post for all users - not just the user doing the action. 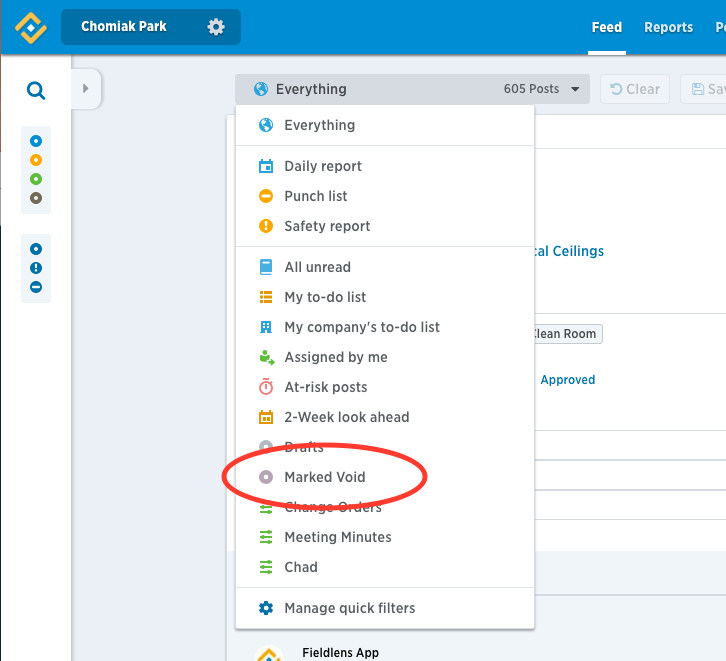 Users will still be able to view a post marked 'void' by selecting the 'Marked Void' filter on the web in your quick filters section. A post marked 'void' can be reactivated by its creator, or someone in the creator's company, from the web app, or by reacting to the post from the web. Posts marked 'void' will currently not appear on your mobile device or in reports.